Hello! Today I am sharing a card I made with this month's For the Birds set. 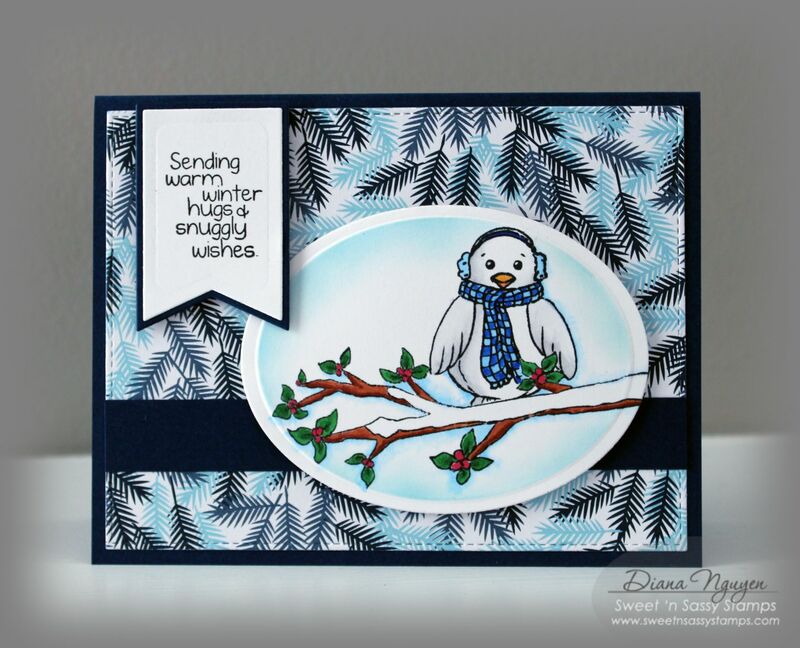 I based my color off this wintry designer paper (Jack Frost by American Crafts). After stamping with Memento black ink, I used my Copics to color this adorable bird sitting on a snowy branch. After die-cutting it out, I kept it in the die to sponge the edges for a hint of blue sky. Hope you like it and thank you so much for looking!